XBRL is now the standard for transmission of financial information between the most important regulators in the financial market and banking supervision institutions. 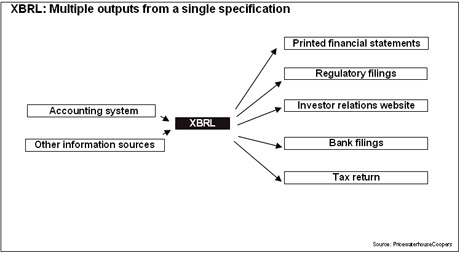 XBRL simplifies the processes of collecting information and processing it due to the reason every little piece of data is tagged for the data transmission and each concept used is documented in the taxonomy. The data can be validated on the receivers side and on the senders side. On the other side, XBRL is a royalty free standard that allows regulators to be isolated from the information systems on the data preparers side. Who is using XBRL? at this stage the list of public institutions using XBRL is so large that there is no a single point where all data can be collected. The following link: http://www.xbrlwiki.info/index.php?title=XBRL_PROJECTS would give you an idea about. During Phase 1: An XBRL Taxonomy is created for the exchange of information between the regulator and the regulated entity. During Phase 2: the digital reporting platform is configured according to the project needs.